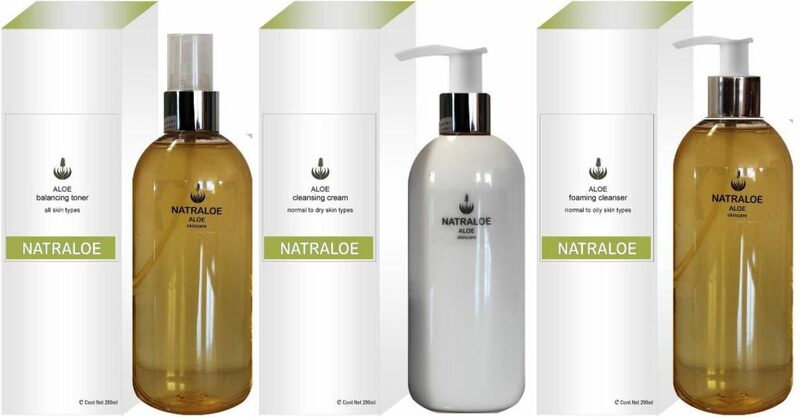 NATRALOE .. An exciting range of skin, body, hair and baby care products manufactured with certified organic aloe ferox gel. Aloe ferox gel has the unique ability to transport moisture, nourishment, soothing and healing qualities to below the epidermis to hydrate dry skin. The anti-bacterial and anti-fungal properties make it a beauty and first-aid treatment all in one. Our incredible certified organic aloe ferox gel also accelerates the reproduction of the cells responsible for the formation of collagen, which is vital for skin strength and elasticity. ORGANIC ROOIBOS .. 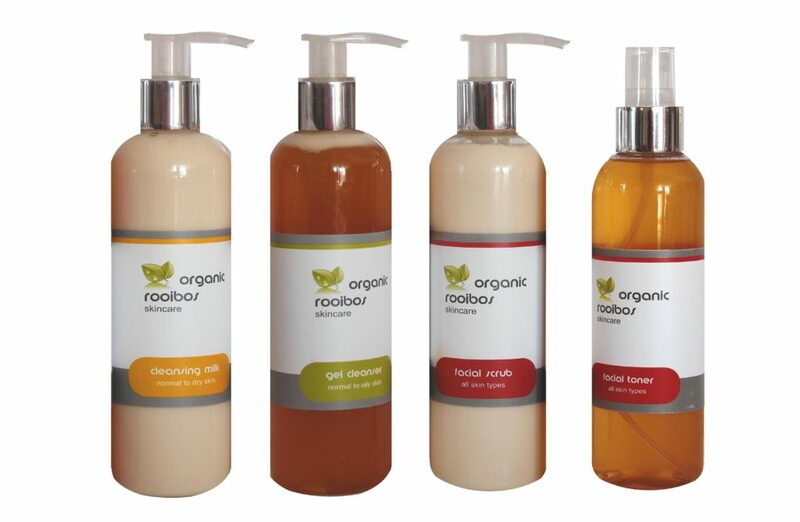 This all natural skincare range is made with organic rooibos extract and enhanced with natural moisturising oils, butters and plant extracts to create an holistic approach to comfort and pamper the skin. 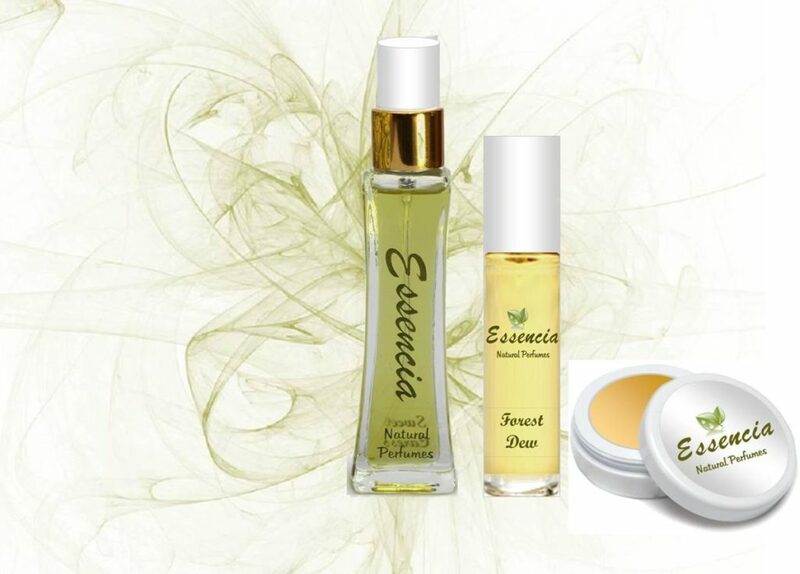 We use the sultry, woody essence of rosewood essential oil to fragrance all our products.Organic Rooibos extract has high levels of many minerals and vitamins that promote healthy skin, especially zinc and vitamin D.
ESSENCIA NATURAL PERFUMES .. Natural Perfumery is the creation of natural aromatic raw materials to produce perfumes. Citrus, spices, woods, and floral oils are used to create a beautiful formula that is then diluted in either natural oils or grain alcohol. These natural perfumes impart deep and complex fragrance notes with soft and subtle nuances that evolve over time, together with your individual body chemistry. A natural perfume will fade gradually into your body gently and imperceptibly. Each fragrance is created with passion …… indulge yourself in this creative experience. Each perfume is exclusively yours! Every product we make is natural, but really they are so much more than that. Comprised entirely of certified organic base ingredients, plant extracts and oils and clinical grade essential oils, each imparts concentrated nourishment and calm to your mind, body and spirit. Our organic rooibos extract is manufactured in our laboratory ! Manufacturing our own products allows us to produce our products on demand and in smaller batches, which means quite simply that everything comes to your door fresh, clean and free of harmful preservatives. Our business has grown year on year since inception……testament in some way to the care and dedication that goes into each and every bottle of product we produce. Join us on our journey of a wholesome, healthy approach to life. All our products are animal, earth and people friendly…..none of the ingredients that we use are tested on animals. We use only two animal products in two of our products…….beeswax in our baby bum balm and milk solids in our soap. Both sourced from ethical suppliers. Every product we make is 100% cruelty free and is earth, people and animal friendly. Our wonderful staff test every product during the formulation process to ensure the gentle efficacy we’re known for. We take it a step further and verify that each and every ingredient we use is never tested on animals. And though it’s nearly unheard of in the beauty industry, we manufacture our products on site, from scratch so we can be 100% assured of how our products are produced and tested. Almost our entire product line is vegan. The only animal ingredients we do work with is the pure beeswax in our Baby Bum Balm which is from a verified ethical and cruelty free source.